The more I observe nature, the more I realize that parasites rule. So far this trip, I’ve accumulated dozens of photos to prove my point, including the one above. 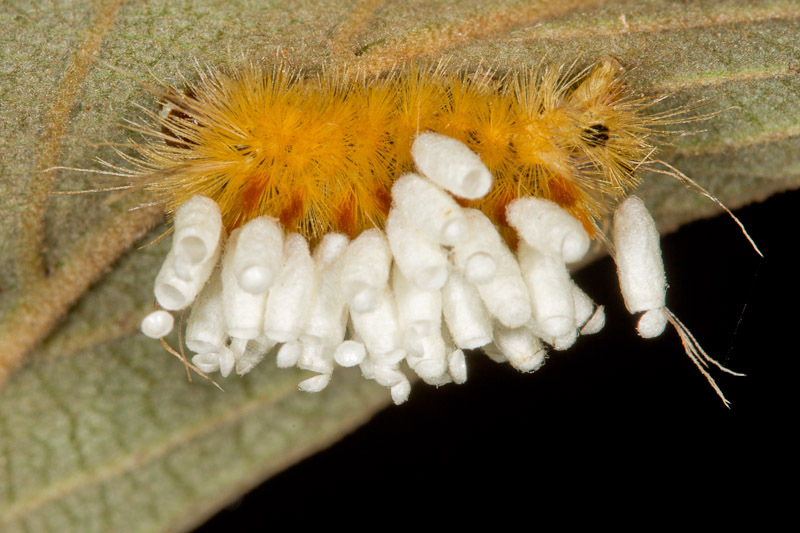 Believe it or not, this caterpillar was still alive. The parasites, wasps presumably, are long gone. Great image! The wasps were probably a Microgastrinae (Braconidae). The caterpillar usually stays alive long enough to fend off any marauding predators – then dies soon after the wasps emerge.